We thought that perhaps we were excluding visitors without even knowing it. As is our nature, we looked internally to what we enjoy doing. 718 has always been a true expression of the interests and expertise of the staff/ The more we looked, the more that we saw the shop had the most engagement when we were leading tours and outdoor excursions. What if we thought about doing things in nature (gasp) without a bike? What about hiking, camping and bird watching? The retail landscape in NYC has certainly become withered up, as a certain three-lettered chain blew into town. 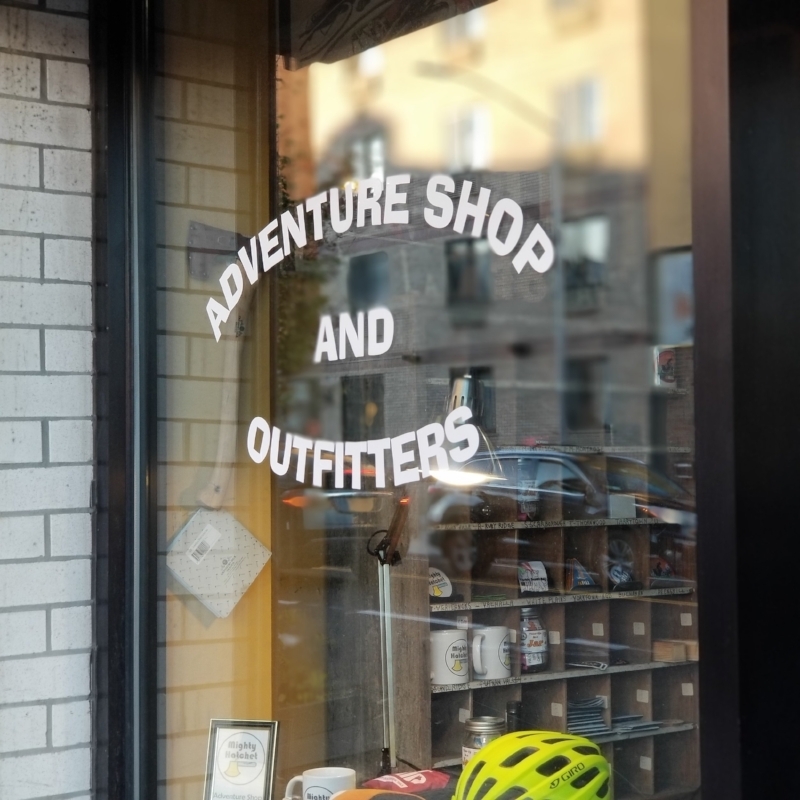 All of the mom-and-pop outdoor gear stores have been forced out of business by this chain and Amazon. We felt there is an opportunity to jump into the breach, offering a local, independently-owned alternative to a multi-level Manhattan experience. If were were launching primarily as an outdoor gear shop, we’d have our lunch handed to us in short order. We have a great voice and audience that we have built over 10 years of honest service and a commitment to diversity and inclusion. We feel that Mighty Hatchet stands on the shoulders of 718, and pokes in new directions. We conceived of having Mighty Hatchet as a pop-up within 718 Cyclery, yet retain it’s brand independence as an outward facing website. This multi-scale approach is certainly not without it’s challenges, but that’s what makes this puzzle fun. We dove into the unknown using some of the tools we have used successfully in the past (classes, trips, reviews, guides). We feel this effort will introduce to a whole set of people who we haven’t met yet, all the while still building on our excellence as a Bike Shop. In an industry (cycling) that is fractured and compartmentalized, we feel that expanding our reach is the way to go. This isn’t about $450 jackets or a curated website with models glamping, this about good, honest outdoor gear that we use. Are we going to stay in the cycling industry, you might ask? Damn right! We were just recognized as a Top 100 Bike Shop in America, and our love for 2-wheeled adventure couldn’t be stronger.